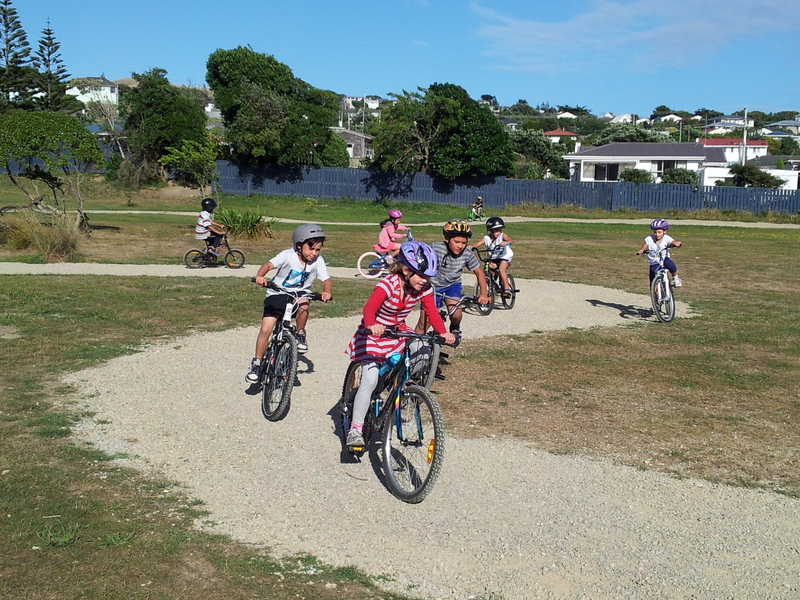 The weather was perfect for the exciting opening of the new bike track at Titahi Bay Primary school. 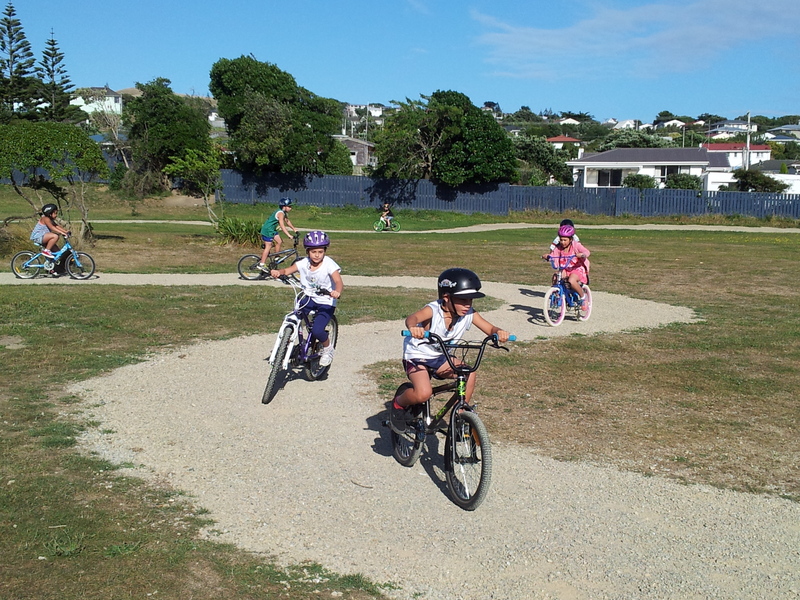 Thanks to a lot of hard work by the school and a dedicated group of parents the students have a wonderful riding track around their school field. 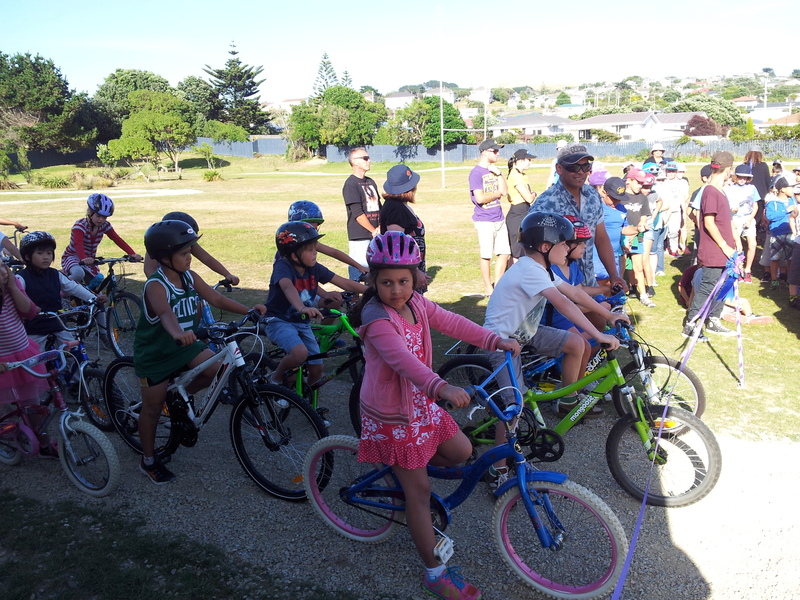 After some lovely speeches and songs, the ribbon was cut and the first group of riders were off. 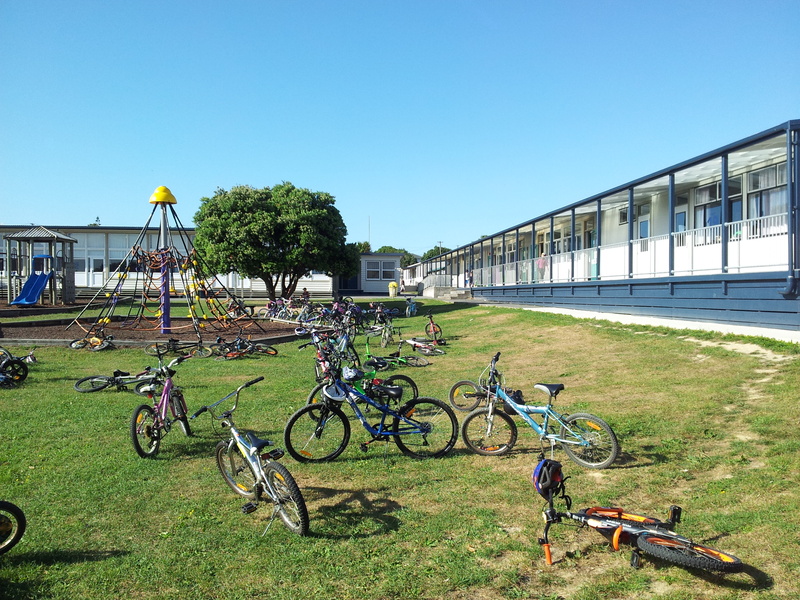 A huge number of children already bring their bikes to school most days!